Changed and off to baseball. It was a great game. 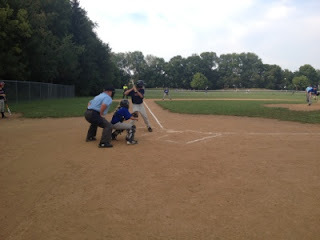 D got to catch for 3 innings, was up 4 time and got 4 hits! and he scored 3 of the 4 times. He caught a huge hit deep to center and turned the game winning double play! 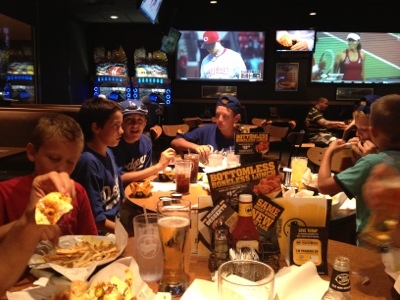 We went to BWs with some of the team after the game to celebrate the win and the bday! Home and we measured D, he is only 1 inch shorter than L, and has grown about 9" in the last year. Happy bday my big boy!